TIC TOC is an acronym for “To Introduce Culture to Our Children.” It is a locally run program that is over 50 years old. TIC TOC started as an effort to bring live, high quality children’s theater to suburban elementary schools. It soon branched out to incorporate both performing arts and the fine arts with the creation of circulating paintings and a special artifacts collection, as well a classroom art docent program. Academy of Our Lady is just one of fourteen elementary schools and three middle schools in five towns that participate in the program. These towns include Glen Rock, Ridgewood, Ho-Ho-Kus, Midland Park, and Radburn in Fair Lawn. Each school is responsible for organizing and overseeing its own TIC TOC program. At Academy of Our Lady, Tic Toc is an integral part of our Music and Fine Arts Guild, supported by HSA fundraising efforts. 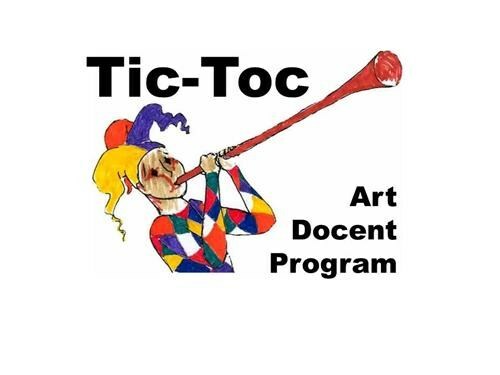 Currently, TIC TOC’s paintings collection includes over 250 framed reproductions organized into 29 collections that rotate monthly among the participating elementary schools. The collections represent nearly all styles of art. Additionally, TIC TOC has 28 special collections of artifacts that also rotate among the elementary schools, with each school rotating four special collections in/out four times annually.